The business magazine Forbes, says more baby boomers are renting to be closer to their children who have jobs in the city and because they want more amenities and even concierge services. They continue that boomers want a unit maintained for them while they travel, they want their groceries delivered, they want their pets watched. The author of the article sold the big home in the suburbs and moved to an apartment in the city, giving a reference to his article. He says traveling is easier with city retirement because of the transits offerings. Also apartments in the city tend to be closer to restaurants and shopping, allowing us baby boomers to stay close to home while getting our essentials. The author says apartment developers should focus on baby boomers because we are high earners resulting in low rent burdened renters. Also once we move, we stay put. What Do Boomers Really Want And Need? So my take is the author has it right about what baby boomers want, but I don’t necessarily agree that apartments are the answer,although it could be in a temporary situation. So what do boomers need? 1. Move close to children. I agree, seeing that many of my neighbors in my 55+ community moved for exactly that reason. 2. Want less home maintenance. Yes. 3. Want to be close to restaurants and shopping. Yes. 4.Want some concierge services. Yes, some do. Another way to get all boomer needs taken care of is to move to a 55+ community. As I mentioned, many of my neighbors here in a Del Webb 55+ Community, did move to be closer to their children. Also there is less home maintenance with landscaping taken care of, a newer one level ranch home and plenty of vendors that are knowledgeable about our community and ready to take care of any problem. Some 55+ communities have restaurants that you can drive to in your golf cart and some even walk to. Most have many restaurants close by serving the larger 55+ communities. As far as shopping, one word: Amazon. Well also there is usually a regional mall within 6 miles. The 55+ community developers do a great job on site selection and that is considered in planning. Concierge services are available in our 55+ retirement community via several vendors. Available services include home health care, pet sitting, plant watering, handy man services,ride sharing and really whatever you need. You don’t have to live in a downtown apartment to have concierge services. In conclusion, I agree with the boomers needs presented by the author. I also agree senior apartments could be the answer for some folks, but 55+ retirement communities offer as much and more. Where Will The Baby Boomers Live? The United States Census Bureau's definition of baby boomer considers the baby boomer generation to be boomers born during the demographic birth boom between 1946 and 1964, the baby boomer years. The baby boomer generation is about 78 million strong. About 10,000 baby boomers turn age 65 every day and will for the next 19 years. Current focus of the baby boomer generation is on retirement, aging, social security, encore careers, staying active, healthy eating, life long learning, care giving to parents. 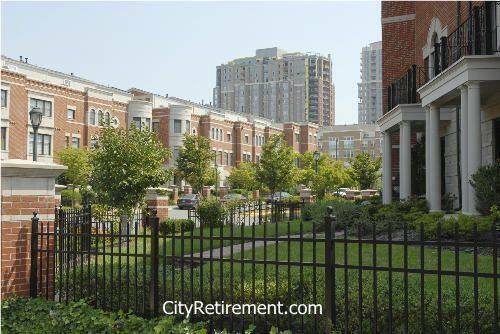 Finding best places to live and retire is on the boomers list. The baby boomer generation is retiring to a new phase of their lives.